what is xiaomi expansion strategy? Xiaomi was recognized as one of the prominent smartphone makers and initially with the growth of its headline, the market of its mother country, China, has been controlling its products, with its expansion in markets such as India and Malaysia, it has multiplied. Xiaomi's main focus was on making smartphones at affordable and high-quality prices, but Xiaomi's creativity did not end in other consumer electronics and smart gadgets, such as Power Bank Xiaomi, Xiaomi Xiaomi Xiaomi, Xiaomi Xiaomi, Xiaomi TV Xiaomi Headsets, Handsfree Headsets, Xiaomi Speakers, Xiaomi Camera, Xiaomi Xiaomi Wristband, Xiaomi Laptops, Xiaomi Tablet, and ... All included Xiaomi Range. These products are a product of a company that entered the market in 2010 as a small startup that aimed primarily at designing a very low-priced smartphone and selling it over the internet, and although it was too late to enter the market, The competition cycle has a lot to say. The first Xiaomi phone was almost identical with the iPhone 4s and was strangely successful, showing that it's not always the first bet of success, and other reasons are needed to succeed. The reason behind the great success of Xiaomi in its clever strategy is to see Xiaomi rely solely on the Internet and use the social networking platform for advertising and branding, followed by a strong and fast Xiaomi support that was planned and planned Today's trade has made Xiaomi quick and precise to be accepted and purchased among the young Chinese people. 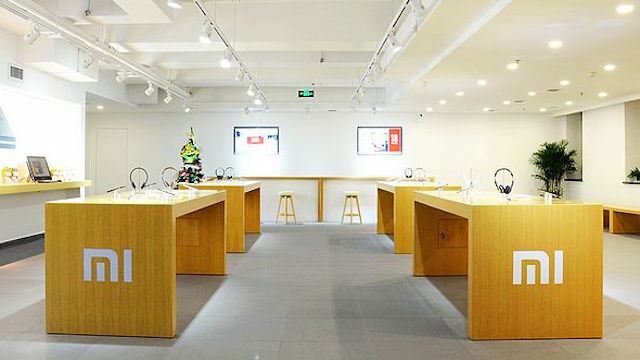 The quality of the Xiaomi products is so high that it is known as Apple China or Apple 2. The Xiaomi long-term strategy has led to the emergence of Xiaomi among the world's leading companies over the past few years, with a share of Xiaomi's share of the world smartphone market of about 5.8%, which indicates that Xiaomi is ranked 5th in the world. The fifth ranking for a company that has been around in five years is amazing and interesting. At the moment, Xiaomi is the first person in the Chinese smartphone market, and has grown from high-end brands such as Huawei and Lenovo. Xiaomi will continue to strive for the ultimate goal.